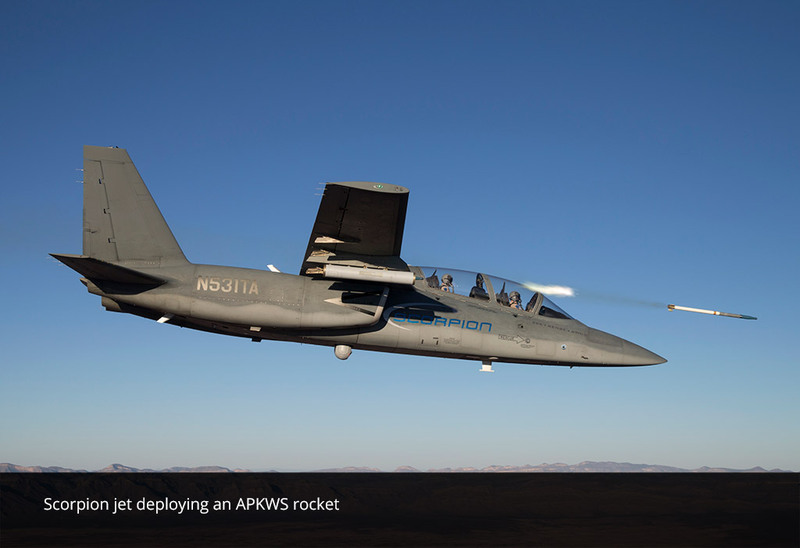 On Oct. 19, 2016 Textron AirLand announced that, while operating from Holloman Air Force Base (AFB) in New Mexico, the Scorpion Tactical Jet has successfully completed its first weapons exercise at White Sands Missile Range. This trial has been very useful to demonstrate the Scorpion’s close air support (CAS) mission capability through the successful deployment of three widely used weapon systems. The weapons tested during the exercise has been Hydra-70 unguided 2.75-inch rockets, BAE Systems’ Advanced Precision Kill Weapon System (APKWS) and AGM-114F Hellfire Missiles. A ground-based laser designator system and then an airborne laser on the Scorpion‘s L-3 WESCAM’s MX-15Di sensor suite were used to guide the weapons to their targets. Noteworthy the weapons system design, integration and flight test coordination for all three weapon types were impressively reached in less than three months. 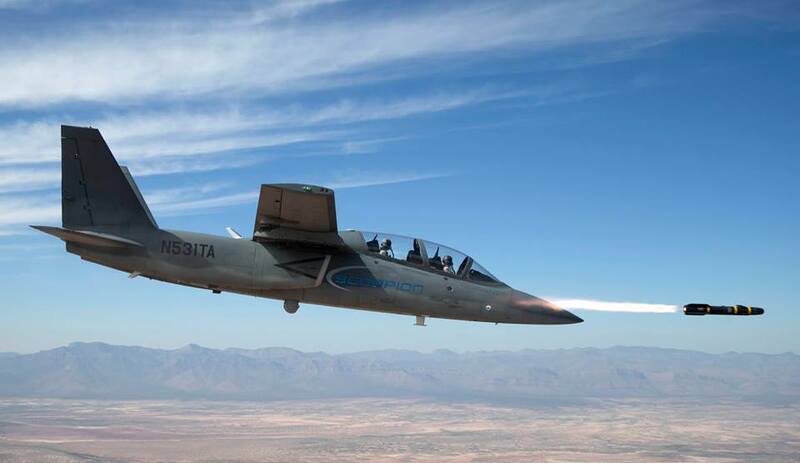 Textron AirLand’s Scorpion Tactical Jet is designed and built with leading-edge technologies and it can excel in many roles, including intelligence, surveillance and reconnaissance, armed reconnaissance and CAS. This mission flexibility, achieved by means of its center payload bay, six hard points and extended endurance and loiter time at cruise speeds, makes of the Scorpion a viable A-10 replacement which could take over the role of the beloved Warthog in few years if the A-10’s 2022 retirement date is not postponed.